I first came across Yorkshire puddings in my early years of cheffing while in England. The British love their Sunday roast and yorkshire puddings are essential to a beef roast. It has got nothing to do with dessert so calling it a pudding is quite strange... You pour the gravy over the pudding and meat when you serve the roast. Apparently it originated from pouring a flour and egg batter into the meat roasting pan after you removed the meat to rest. It soaks up the drippings from the roasted beef into the crispy "pudding". I made lamb shoulder earlier, so, had lamb fat I kept for occasions like these. It is called lard and is very heat resistant. 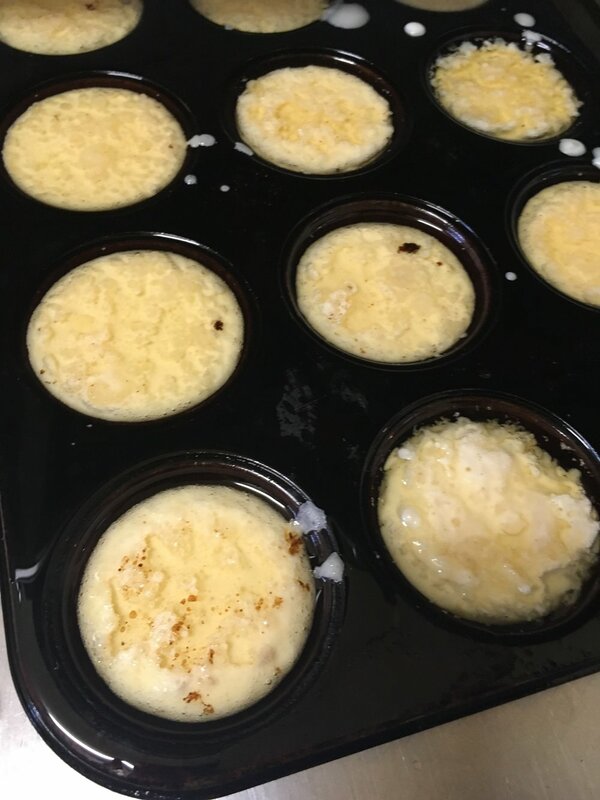 The muffin pan needs a fair bit of oil in each compartment. At least one third up. You don't need to use lard like i did, you can use any heat resistant, healthy fat like coconut oil or ghee. Since you are going to heat the fat to a very high temperature, you want to make sure you use an oil that can withstand the extreme temperature needed to make the puddings rise. Ideally the lard needs to come from grass fed, organic animals. 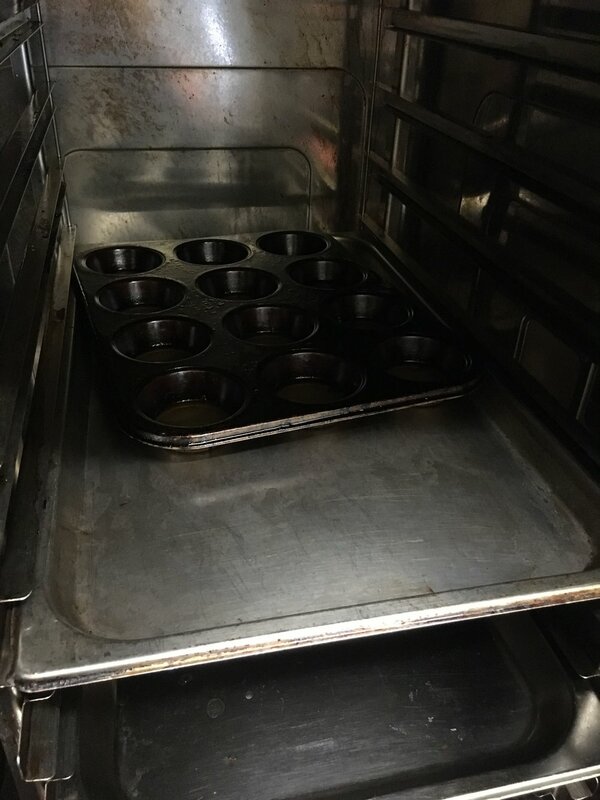 Place the muffin pans filled with the fat in a preheated oven at 200 degrees and bake it for at least 15 minutes till smoking hot. The secret to making a good yorkshire pudding, is not to forget about the good pinch of salt. ...and it has the consistency of thick cream or crepe batter. Runny. 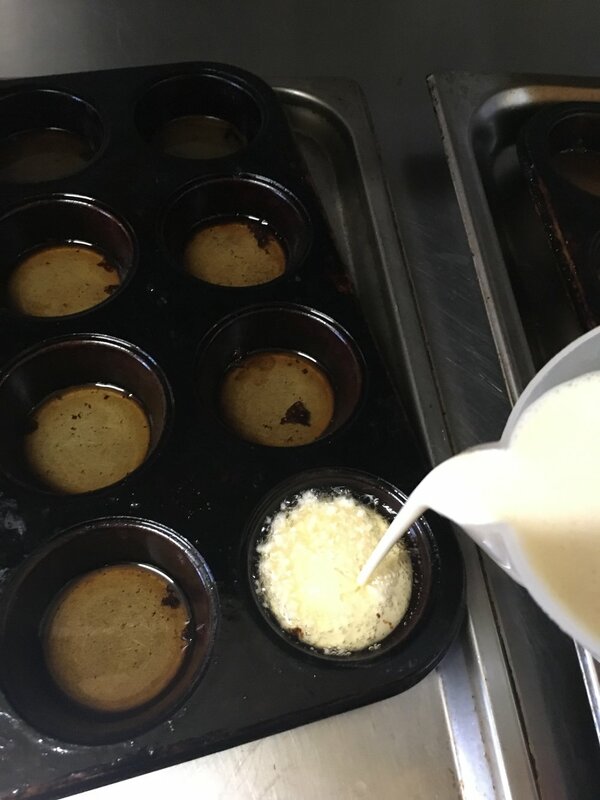 Since you need to act fast once you removed the heated muffin pan from the oven, pour the batter into a jug for easy pouring. Once you have the batter in the jug and a space cleared to put the muffin pan down, bring out the muffin pan with the smoking hot oil. It is vital that the oil is as hot as possible. Start filling up each compartment with batter to the top. It should sizzle as you pour. Put the pan back in the oven at 200 degrees and turn down the oven to 180 after ten minutes. Enjoy watching the puddings rise to at least double their size! Once they are quite brown and puffed up (approximately 20 minutes in total - but it all depends on your oven. They need to look like the next picture) remove from oven and serve with roasted beef, roasted potatoes, gravy (see my pan juice gravy post) and vegetables.